Keep your workout area organized, clean and, most importantly, safe. 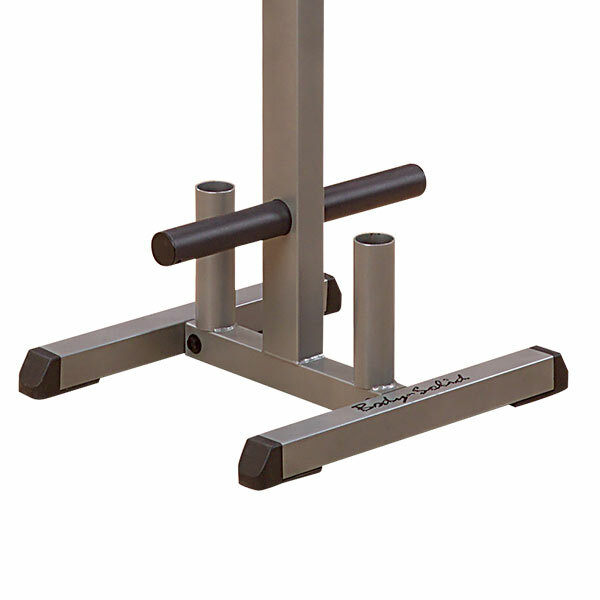 The Body Solid GDKR100 Dumbbell / Kettlebell Rack can be placed against any wall or centered in a room. 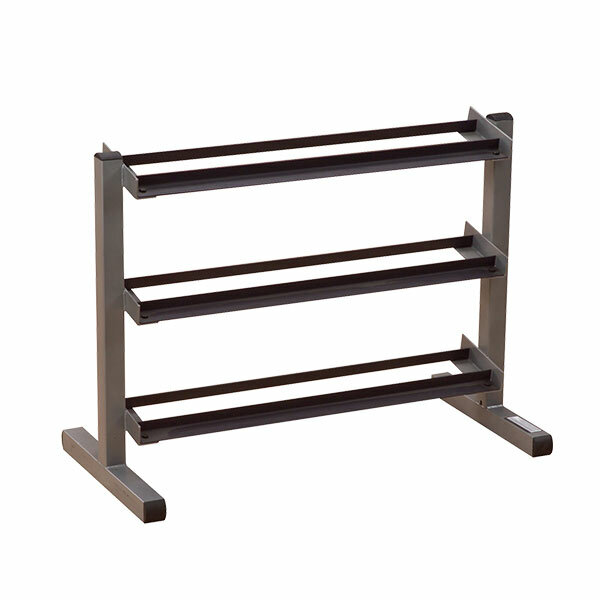 This rack is one of the heaviest 2 tier storage racks available, and is built to! You can place tons of weights on this nice dual purpose kettlebell and dumbbell rack, and also feel safe that your fingers won’t get crushed placing the dumbbells on the rack. And the configurable weight platforms flip to hold either dumbbells or kettlebells. 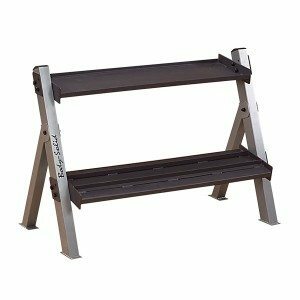 Keep your workout area organized, clean and, most importantly, safe. 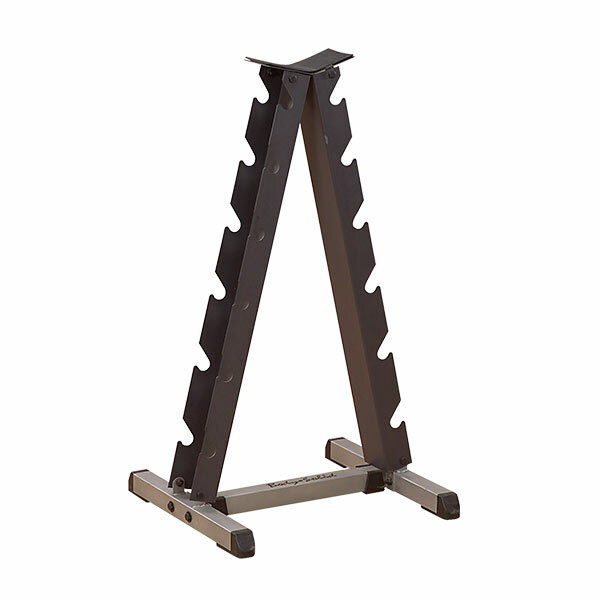 The Body Solid GDKR100 Dumbbell / Kettlebell Rack can be placed against any wall or centered in a room. Nobody builds stronger or more space efficient storage units. Heavy gauge steel with all-4-side welded construction is deburred inside and out for user safety. Tray dimensions – 11" deep x 39" wide. Finish: Electrostatically applied powder coat finish. 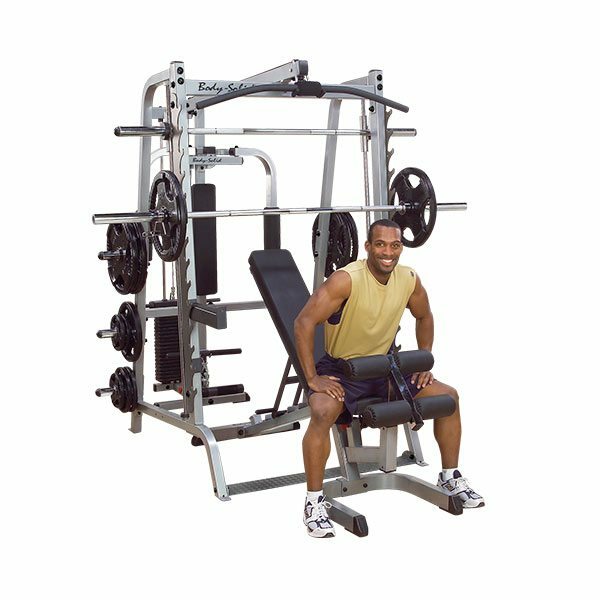 The Body Solid GDR363 3 Tier Horizontal Dumbbell Rack can be placed against any wall or centered in a room. Body Solid builds the strongest, as well as most space efficient storage units, and the heavy gauge steel with all-4-side welded construction is deburred inside and out for user safety. 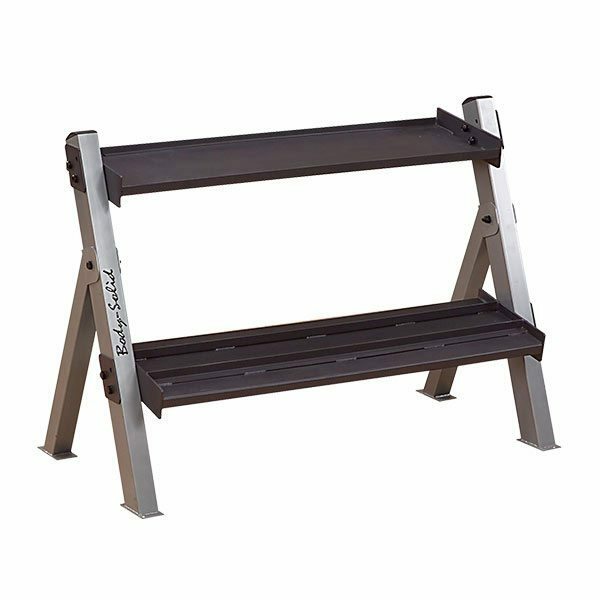 The Body Solid GOWT Olympic Plate Tree and Bar Holder Is the perfect solution to keeping your workout area safe, clean and organized! 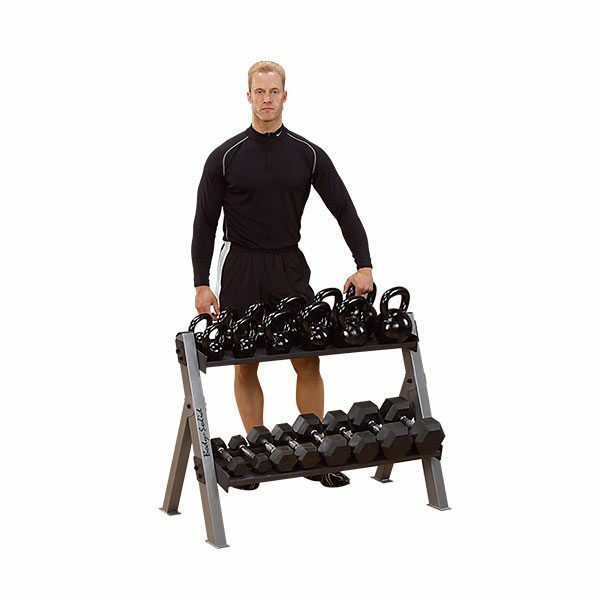 The uniquely designed Body Solid GDR44 6 Pair Vertica Dumbbell Rack holds 6 pairs of hex dumbbells. Each level is off-set, allowing unrestricted access to dumbbells. Place it against a wall or center it in a room. 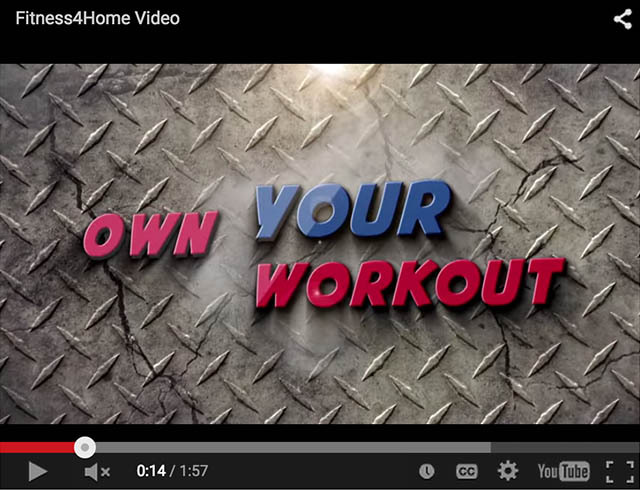 Keep your workout area organized, clean and, most importantly, safe. 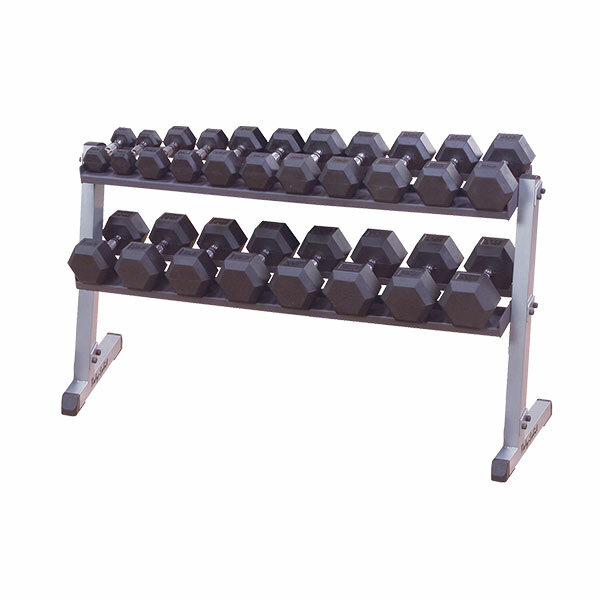 The Body Solid GDR60 2 Tier Horizontal Dumbbell Rack can be placed against any wall or centered in a room. Don't like working out alone? No problem. 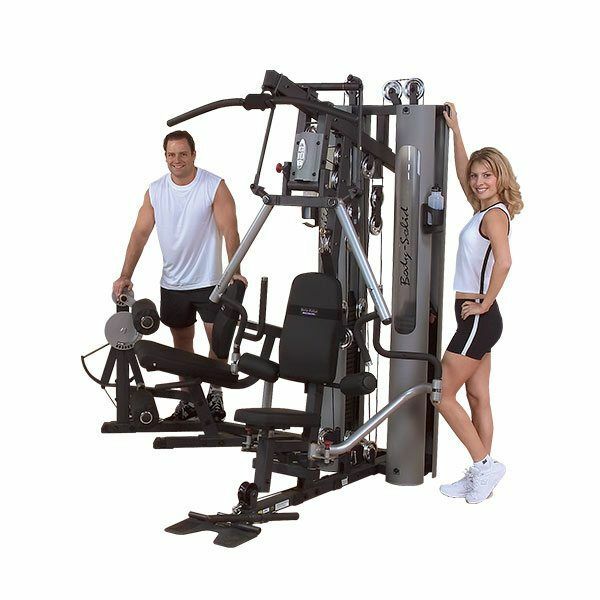 The FreeMotion EXT Dual Cable Cross has Two weight stacks of 210 pounds each are independent, allowing two people to work out at the same time. The Body-Solid G2B BI-Angular Home Gym is the ideal combination of technology and design. 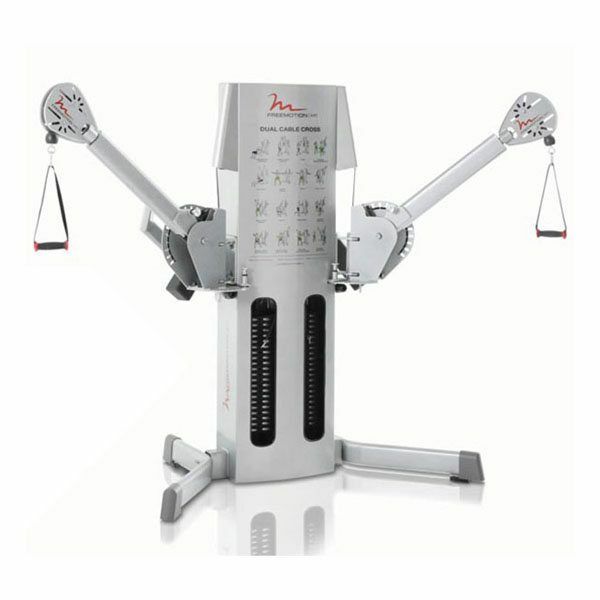 Its' most unique feature is the patented Bi-Angular® Press Arm System. Bi-Angular® technology uses a converging axis during the pressing motion to provide 25% more muscle interaction for a faster, more efficient and complete workout. 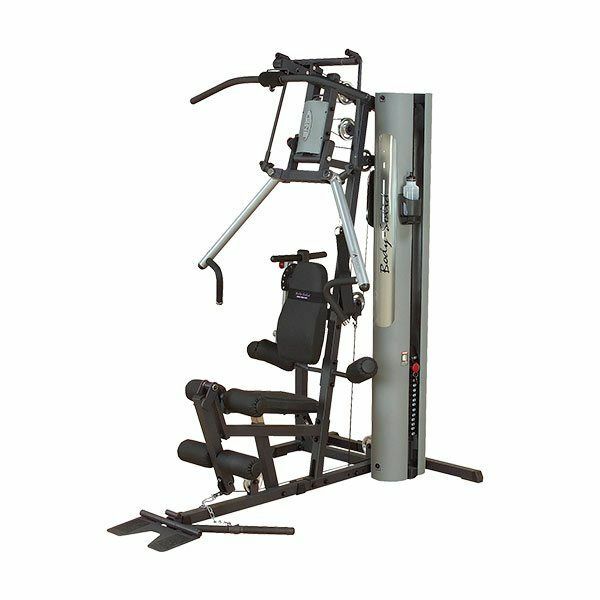 The Body Solid GS348QP4 Series 7 Gym System allows you to develop muscle mass beyond your imagination at a rate that will amaze you. You get virtually all the same exercises as you do in a fully equipped gym, but in the convenience of your own home, on your own schedule, without the need for a spotter. The Body Solid G10B Bi-Angular™ Home Gym is the ultimate gym – featuring Bi-Angular® Technology. The G10B features the Bi-Angular® Press Arm, which provides smooth, multi-directional resistance to increase muscle interaction by 25%.